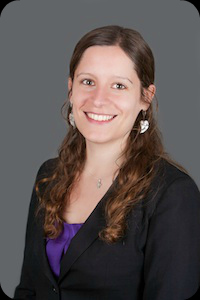 Staff Spotlight: Associate Attorney Marie Puertollano, Esq. From preparing clients for their citizenship and marriage interviews to successfully filing I-601A waivers and I-360 applications, Attorney Marie Puertollano Esq. is definitively a prized asset for our law office. Marie Puertollano specializes in the case processing of various types of applications with USCIS including the successful processing of H1-B’s, I-751 waivers, religious worker visas, asylum, I-601A waivers, F-1 reinstatement, B-2 tourist visitors, B-1 business visitors, H-3 trainees, I-360 abused spouses, etc. In her spare time she enjoys spending time with her husband and her son, swimming, biking, and dancing. She regularly serves food to the homeless and is a motivational speaker.